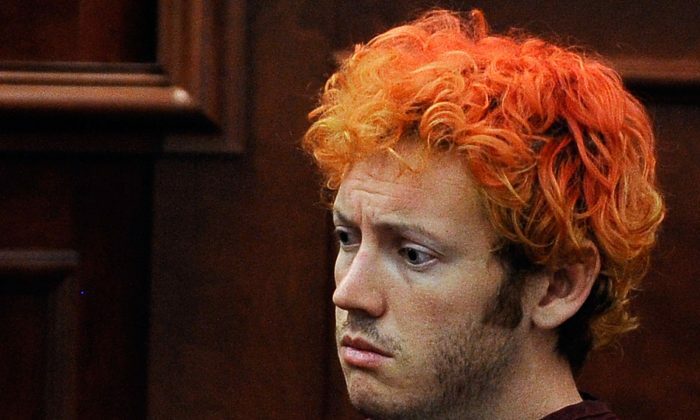 The Aurora movie theaters shooter James Holmes suffered an attempt on his life in prison. The man who tried to kill him received letters praising him for his act, and apologized for being unsuccessful. Daniels is a convicted car thief. “It was just impossible to do by myself with so many cops. I did get him six or seven good ones… He was very scared,” Daniels wrote. We had not allowed Holmes at that time to come into daily contact with other offenders. On October 8th, Daniels had repeatedly hit Holmes on the head with his fists, a prison report said, before officers were able to subdue him, according to ABC News. For his murder attempt of Holmes, Daniels has received a 60-day sentence in segregation, and could get stuck in restrictive housing for 1 year. Holmes was convicted last year of opening fire at people attending the premiere of the Dark Night Rises at the Century Aurora 16 theater in Aurora, Colorado, during which 12 people died and 70 were injured. After the attack, Holmes was transferred to an undisclosed location for his safety. Some prison officials believe that Holmes will continue to be the target of assault if he’s not placed in an isolated area, given the high profile nature of his crime.